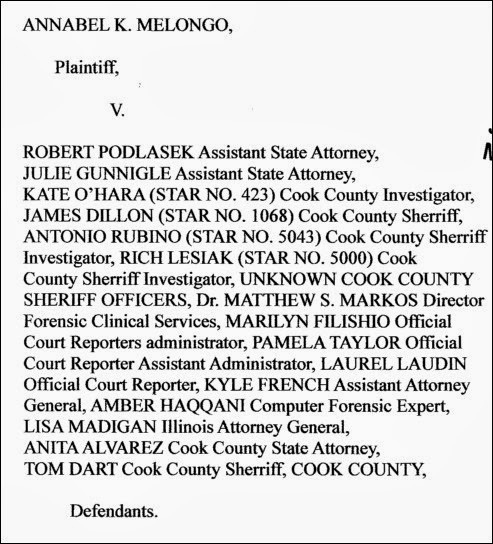 Annabel Melongo of Chicago, who since 2006 has been fighting a string of dubious criminal charges, is kicking back in federal court with a wide-ranging civil rights lawsuit. As Sidebar readers know, Melongo's troubles began in October 2006 when she was arrested for allegedly destroying the computer files of the nonprofit Save-A-Life Foundation (SALF), whose employment she'd left months before. 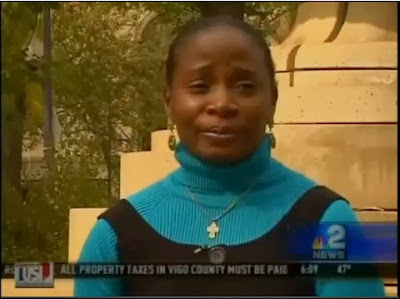 Two weeks after her arrest, SALF was the subject of the first of dozens of broadcast and print exposes. And since 2010 SALF has reportedly been under investigation by the IL Attorney General for the "possible $9 million misappropriation" of federal and state funds. Melongo filed her federal case in July, but I only got wind of it today via IllinoisCorruption.net, a website that chronicles her legal travails, including, per reporter Mark Guarino in the Christian Science Monitor, a 20-month jail stretch "for recording phone conversations with a county clerk." Except for two sentences in a Sun-Times column by Carol Marin and an interview I did last year with a Rockford print weekly, Melongo's plight has been completely ignored by Illinois media. Meanwhile, the NBC affiliate in Terre Haute, Indiana, thought her case was worth a two-night investigative report and the Reporters Committee for Freedom of the Press has also been on the story. It's a complicated case that's been going on for over seven years, but the federal complaint includes a very readable blow-by-blow description. Click here to download a copy.